Project initiator : Philippe DESBROSSES doctor in Environmental Sciences (University Paris-VII), Farmer, founder of a farm-school : the Organic Farm of Sainte Marthe in Sologne and a Conservatory of vegetable seeds of ancient varieties, created 1974. Founder and President of the association Intelligence Verte, for the safeguard of natural genetic diversity. Expert and Consultant at the EU. 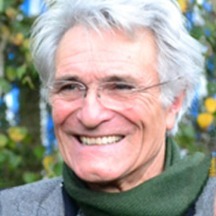 Co-founder of the main movements of Organic Farming in France and Europe. He is the author of numerous books such as « We shall become farmers ! » with preface by Abbé Pierre, edit. Le Rocher 1993, re-edited 2014, intervening in the movie « Nos enfants nous accuseront » from JP Jaud, Coline Serreau's « Think Global, Act Rural », Kevin Garreau's « Nourrir la vie », « Au nom de la Terre » from Pierre Rabhi and Marie Monique Delshing.